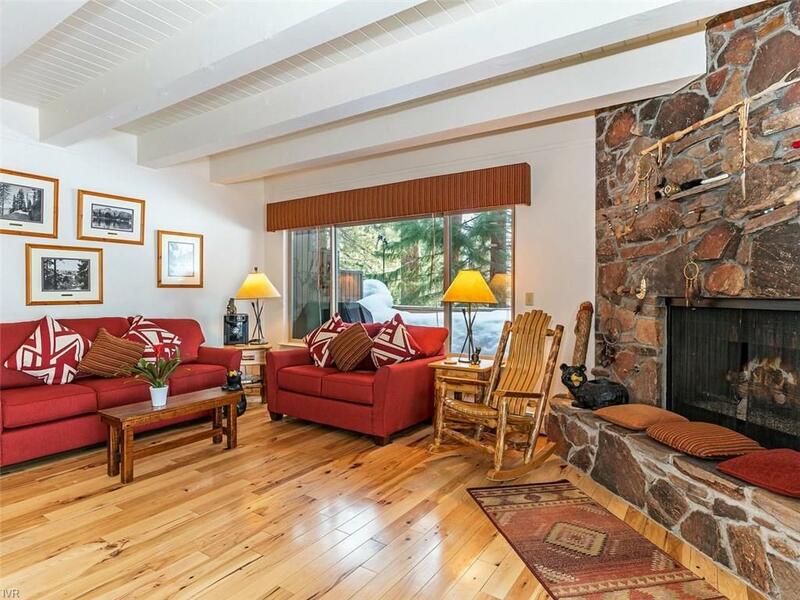 This three bedroom, two and a half bath condominium has been completely remodeled with a tasteful Tahoe flair. The kitchen has granite counter tops, custom Knotty Pine cabinets and stainless steel appliances. The beautiful hardwood floors are hickory. The bathrooms have been updated. The home is offered fully furnished, turn key with minor exception. The great room has custom window coverings and there are many lodgepole furniture pieces included in the sale. The wraparound deck offers a view of the the sixth hole of the Championship Golf Course, proximate to the ladies' tee and within earshot of a year round creek. The almost new barbecue will remain.